One of the most fun events we’ve ever created, orchestrated and managed was a race between turtles called the Turtle Derby. It capitalized on the slow-moving nature of turtles and created a city-wide buzz. We held it on the morning of the Kentucky Derby to give the media a fun story to include in their coverage of the Kentucky Derby – which they did. A local reptile rescue shelter provided the turtles. The local CBS affiliate became a co-promotional partner and ran a contest at the end of each evening newscast for a week leading up to the race. A “racing” turtle was featured each night on the news – with its name, bio and photo. Viewers could go the station’s web site to cast a vote on which turtle they thought would be the winner. 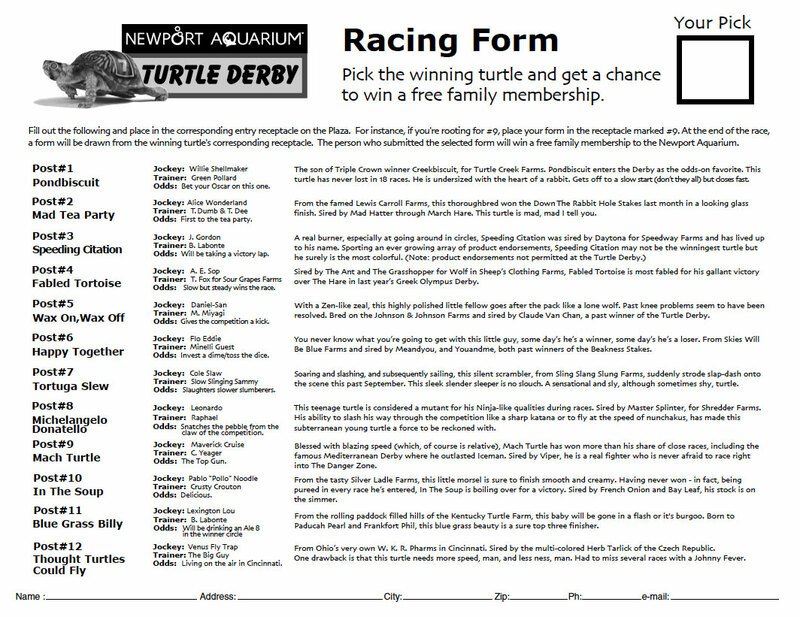 Voters entered a drawing where they won prizes and got to sponsor a turtle at the race. 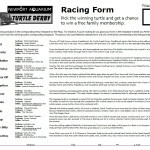 We created Racing Forms that were handed out on race day for a chance to win a Family Membership to the Aquarium. The race took place on the plaza in front of the Aquarium with cheerleaders from the Cincinnati Bengals leading the crowd in cheers. An Oomp Pahh band provided the music. A local radio station broadcast the race live from the plaza. All of the turtles were adopted-out and the reptile rescue organization was able to promote its mission and increase its financial contributions as well.